Entry by Amaterasu 121 on Sat Feb 1 03:30:33 2014. WAAAAAAAA@! Tag Team Combo 999 hits! 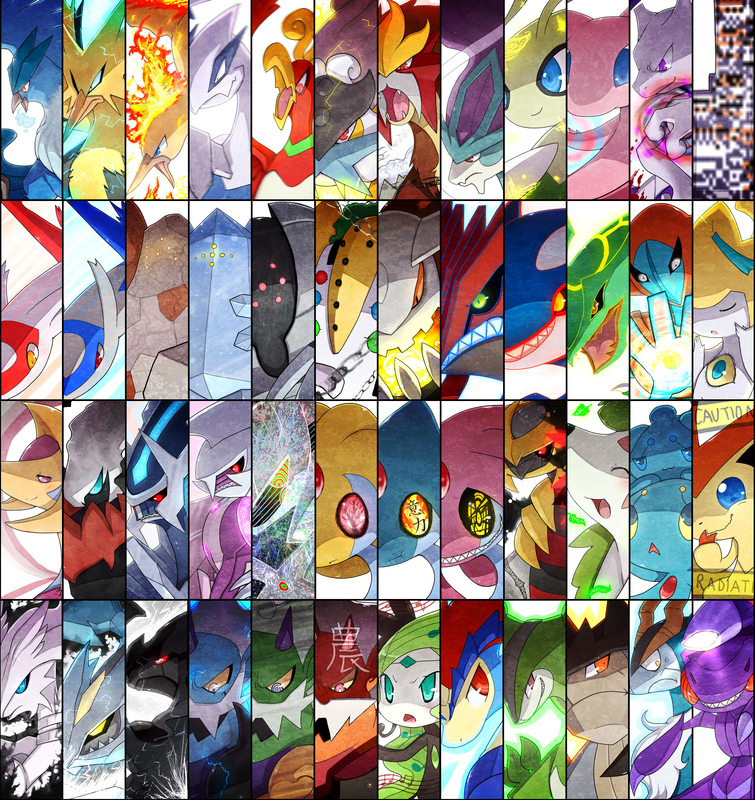 My favorite out of all these is Missingno. I love the look Cobalion is giving Genesect. "GET OUT OF MY PANEL, FOO'"
Since when did the Sinnoh and Unova legends were added? You would think Giratina's panel would be right next to Dialga/Palkia/Arceus' panel. could someone add tags to the pokemon image. i don't know some pokemon there. @breakgun Zorua and Zoroark aren't legendary. Then again, neither is MissingNo. But at least it is legendary on the Internet. Shiiit! this is freaking awesome! Nice! But what one is in the top right corner? Missing No. Never expected it. this picture is freaking kickass!!!!!! Can't wait to see how Xerneas and Yvetal (and other legends) fit in. I'm not gonna even lie but this is pretty good. Why does Mesprit look so...evil? Yeah... Missingno isn't a legendary. It's only been in games whilst every other pokemon pretty much had its own movie or was in a movie. This looks like a Disgaea crossover..? This style of character cut-in (shape, cropping etc.) is used in those games in certain special attacks. Mesprit, Virizion, and Victini..... are you three ok? Also, I love Phione and Genesect here.